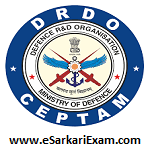 Eligible Candidates can Download CEPTAM 09 STA B Tier II Admit Card at the Official Website of DRDO Latest by 7th April 2019. Applicants First Open DRDO Official Website. Open DRDO Recruitment CEPTAM Notice Board Link. Open and Read Instruction for Download Admit Card for Tier II Exam. Now Click on Download Admit Card for CEPTAM 09/ STA B Tier II Exam Link. Fill Required Details in Empty Fields and Click Login Button.